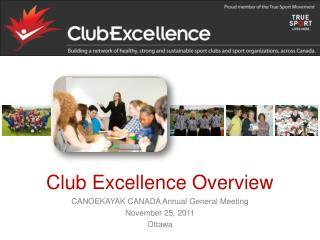 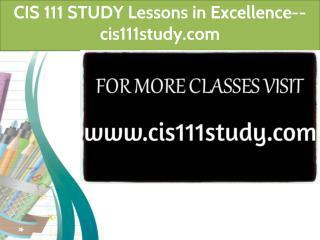 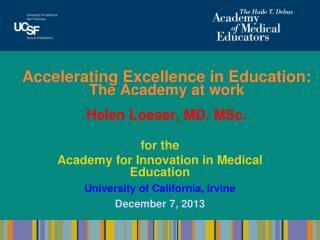 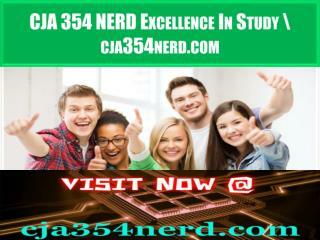 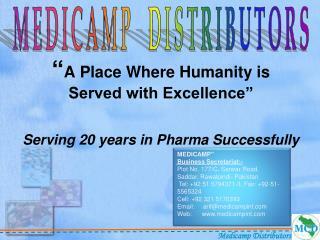 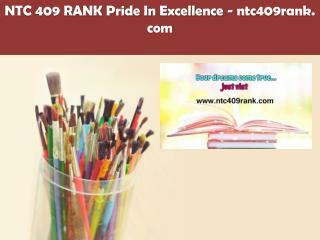 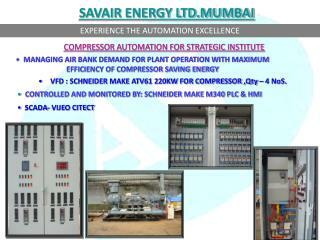 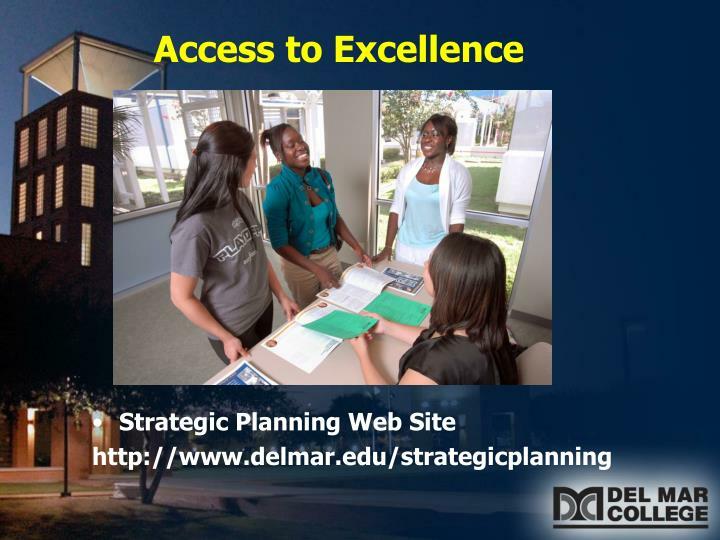 Access to Excellence. 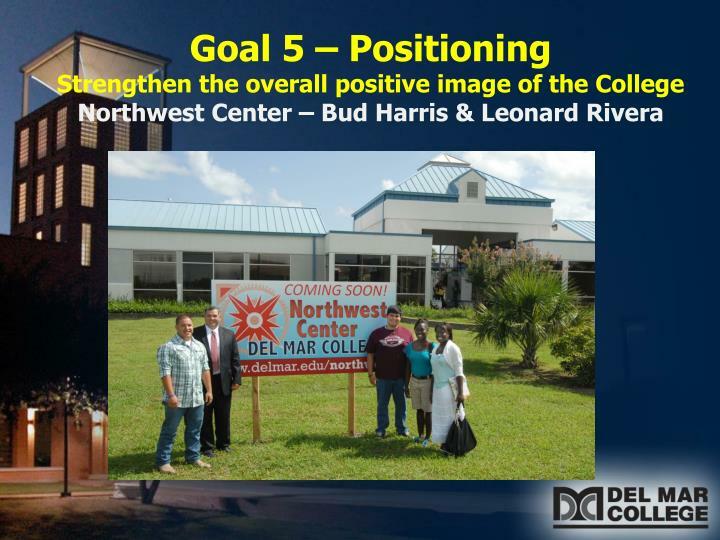 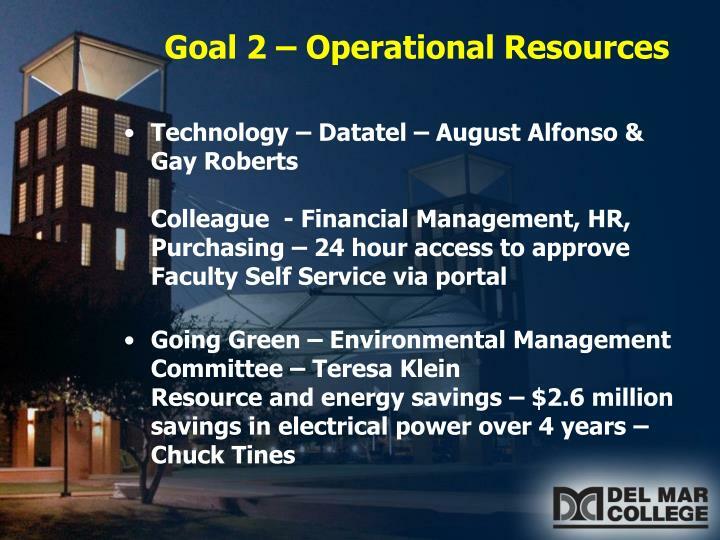 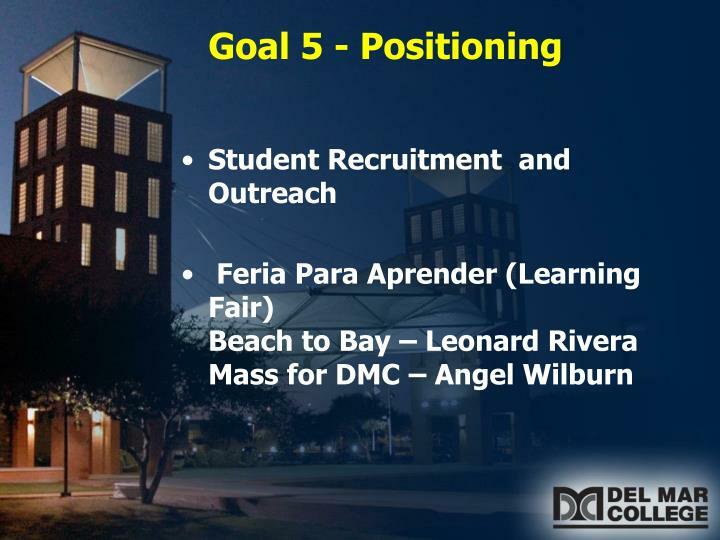 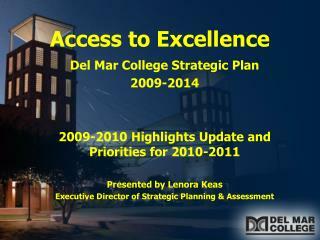 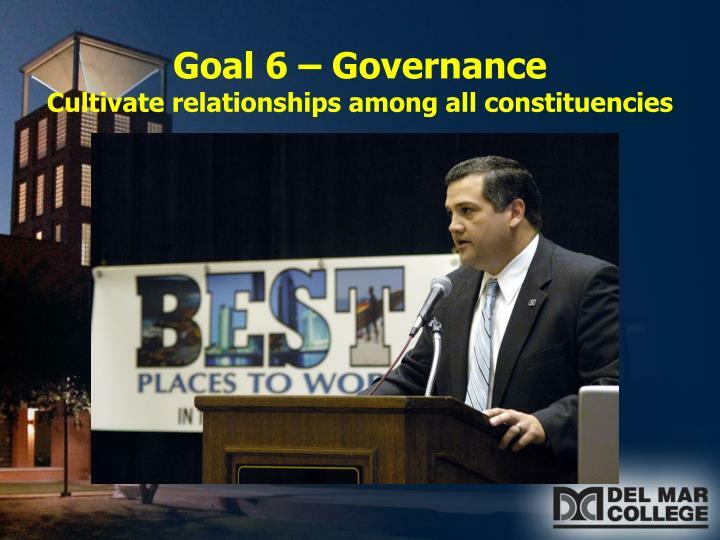 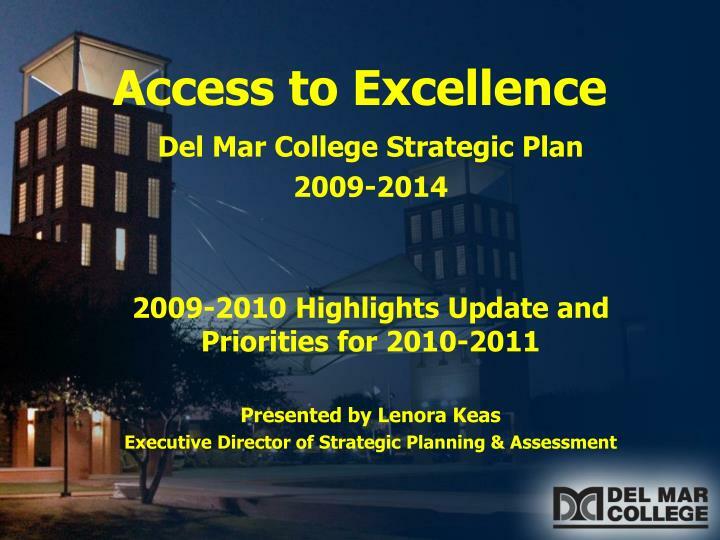 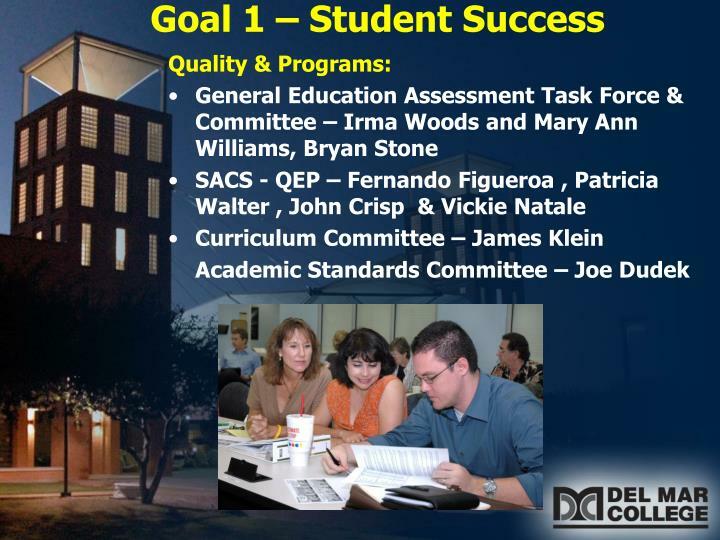 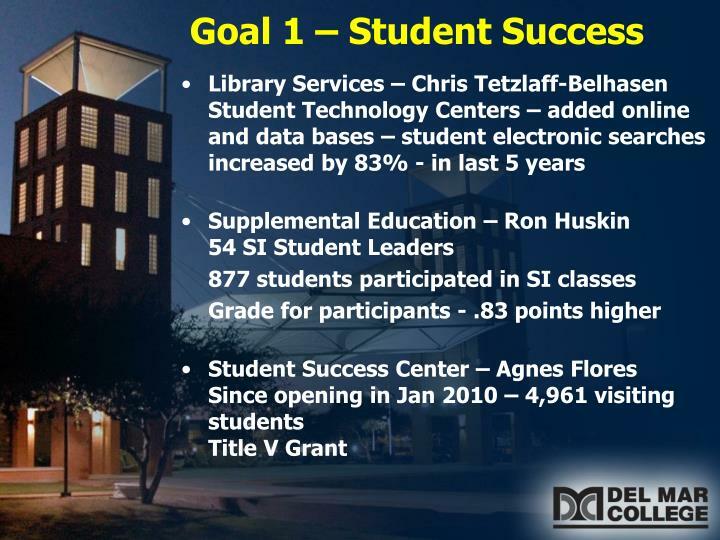 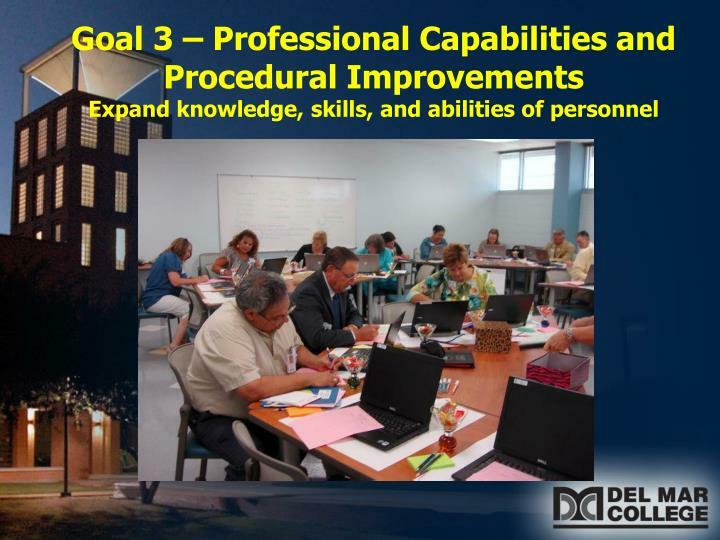 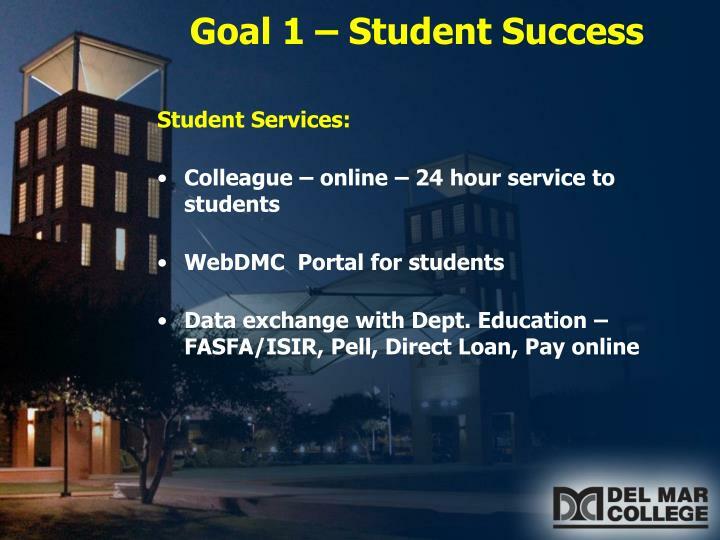 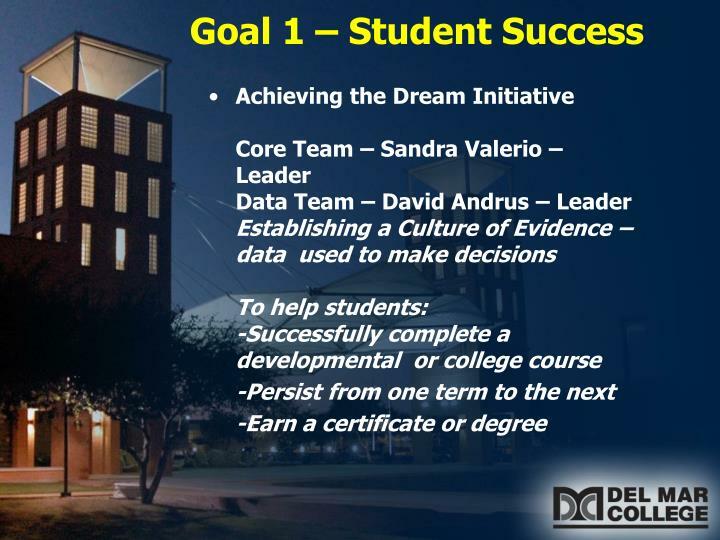 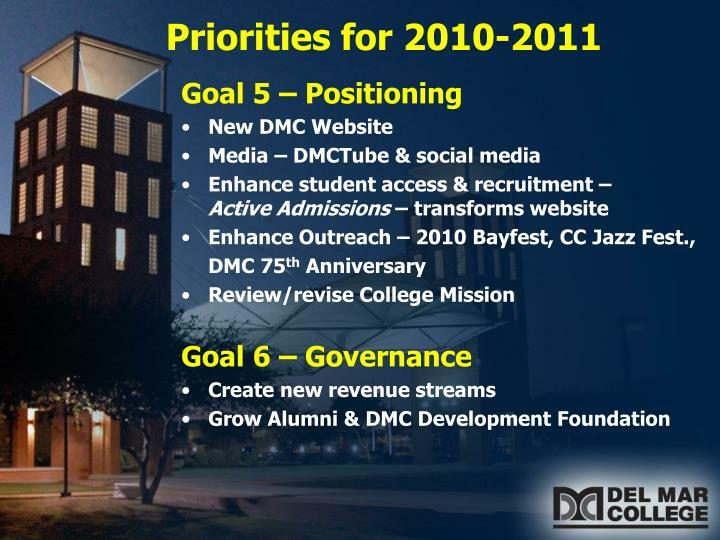 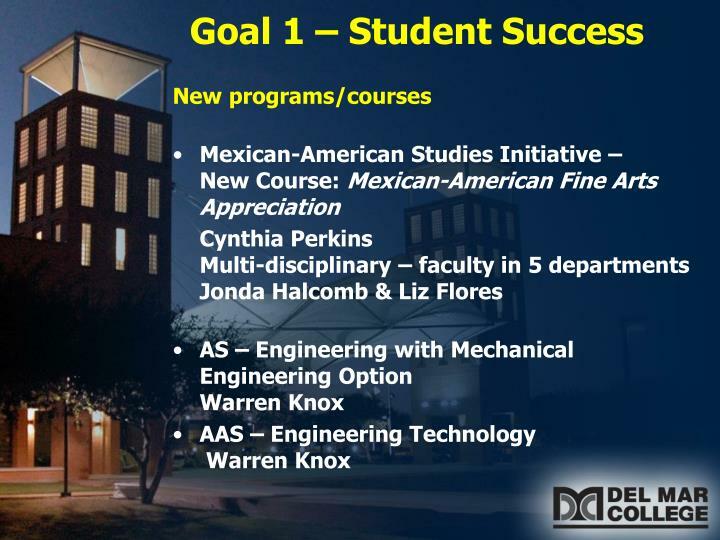 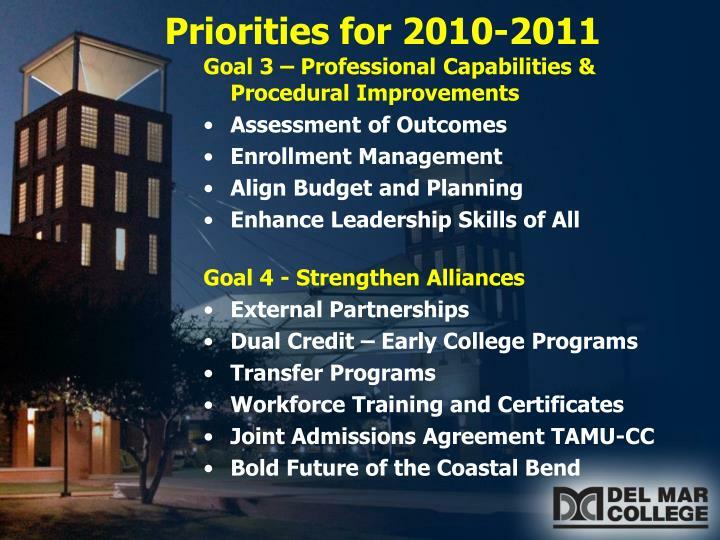 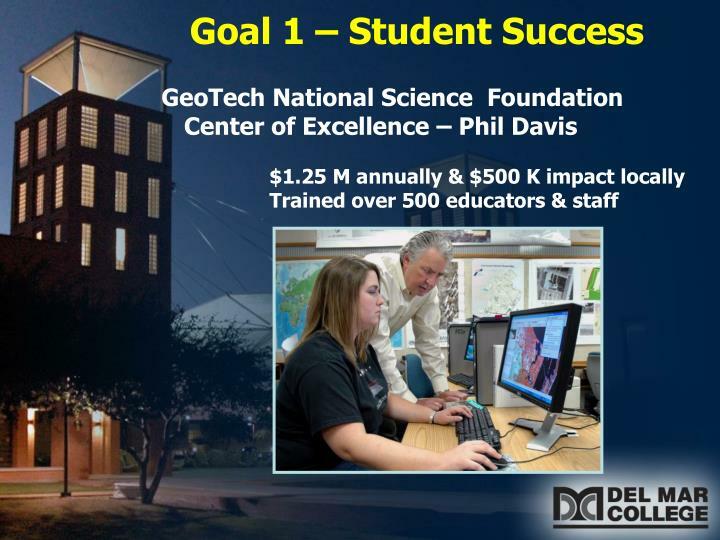 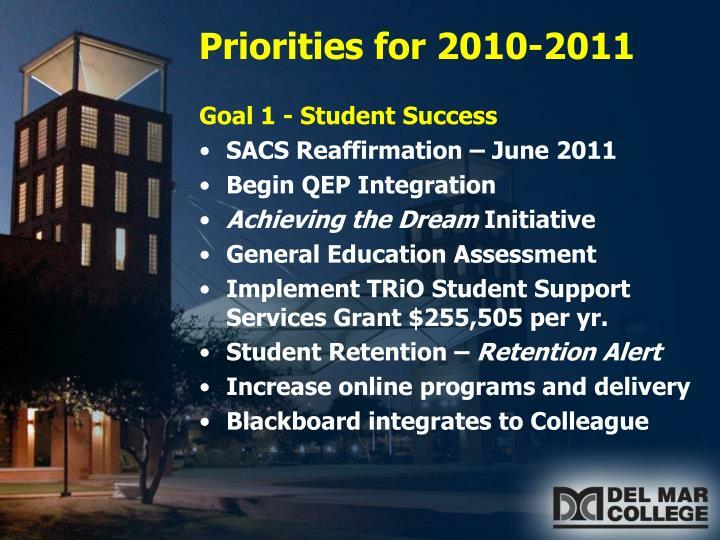 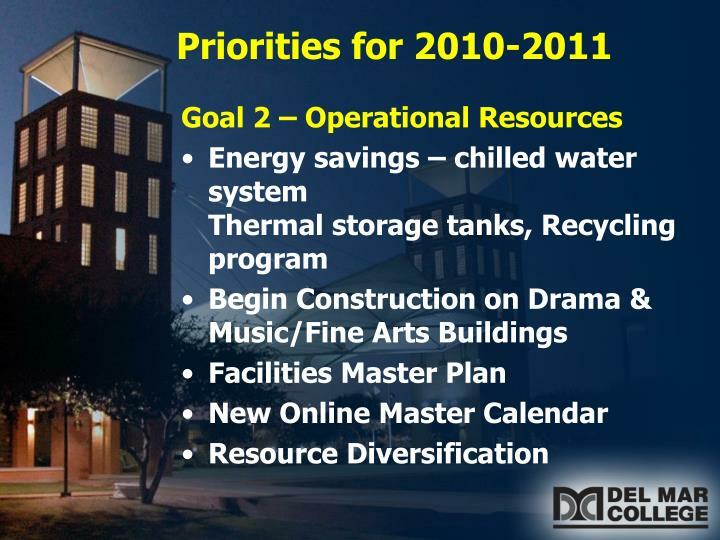 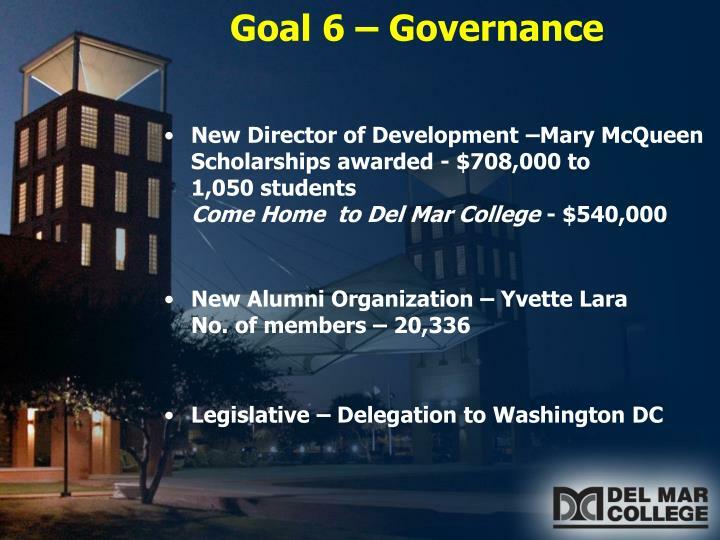 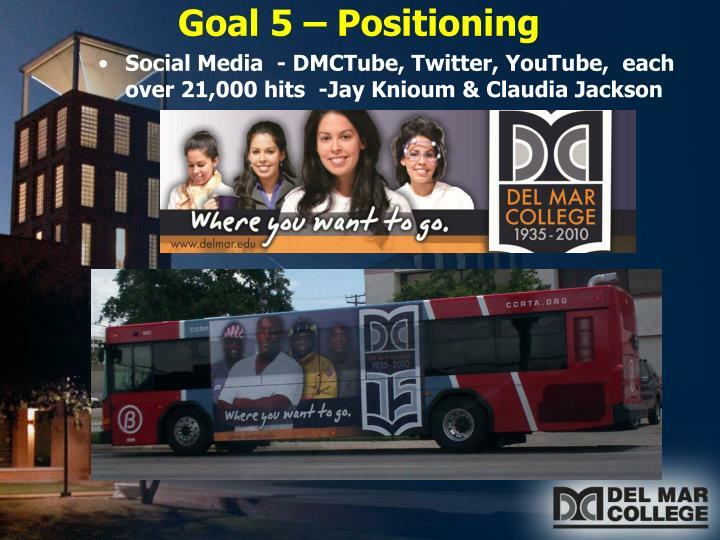 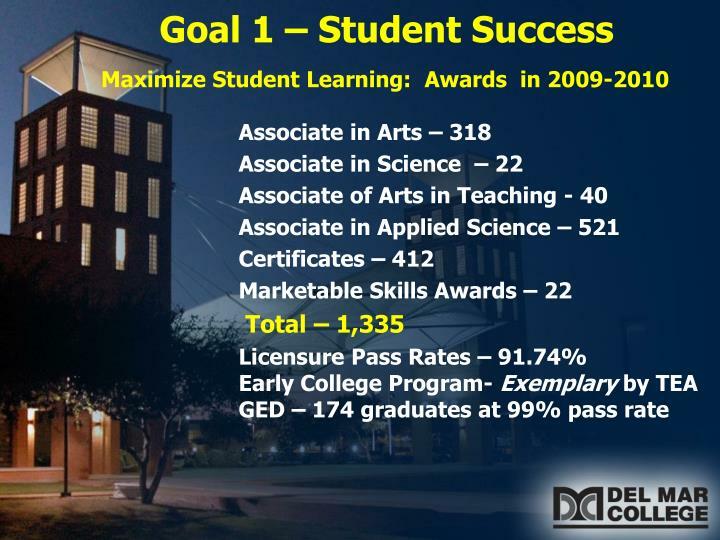 Del Mar College Strategic Plan 2009-2014 2009-2010 Highlights Update and Priorities for 2010-2011 Presented by Lenora Keas Executive Director of Strategic Planning & Assessment. 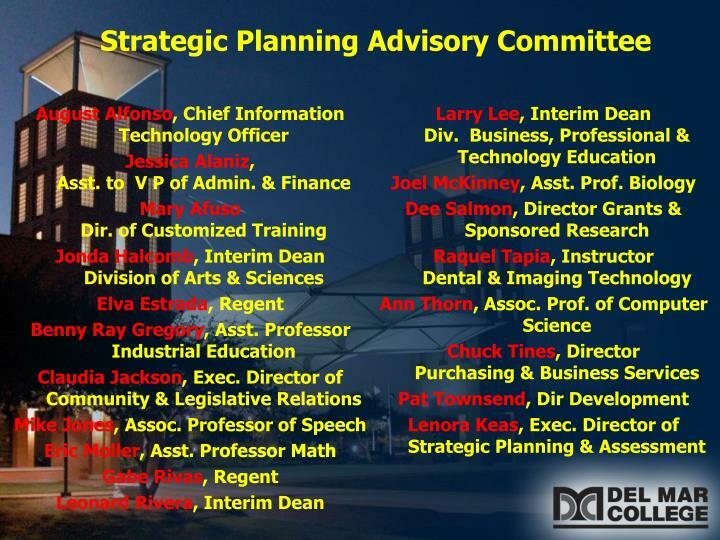 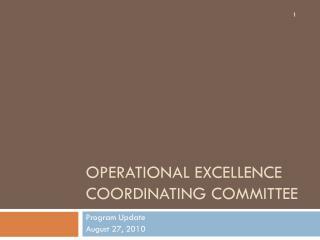 Strategic Planning Advisory Committee. 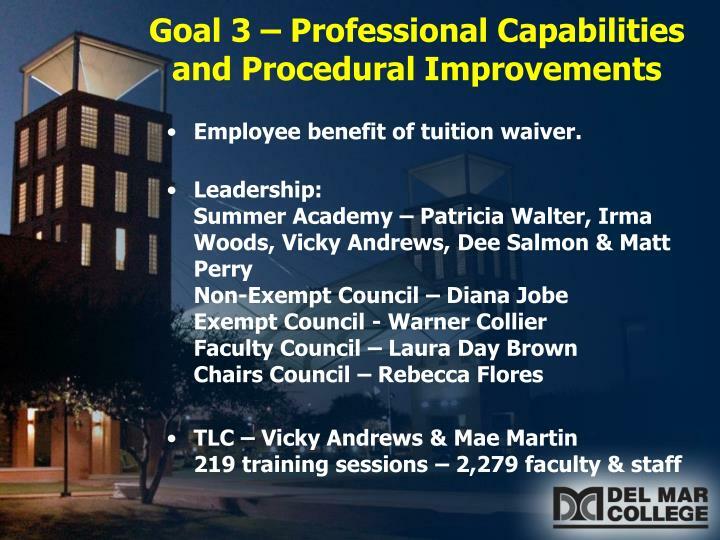 Employee benefit of tuition waiver. 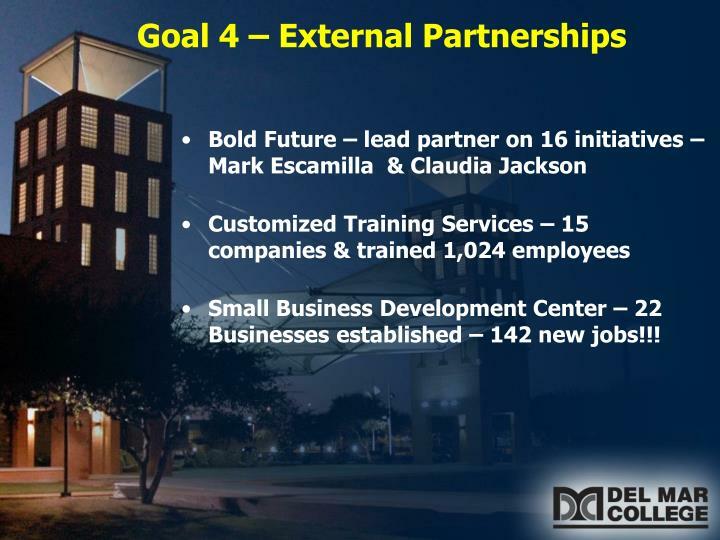 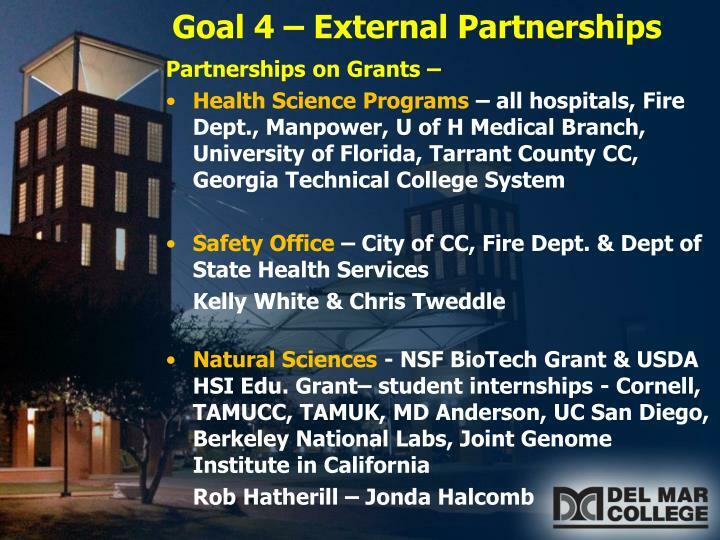 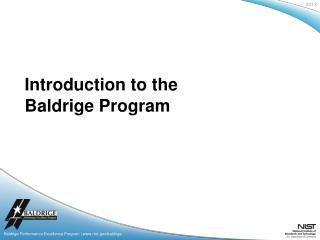 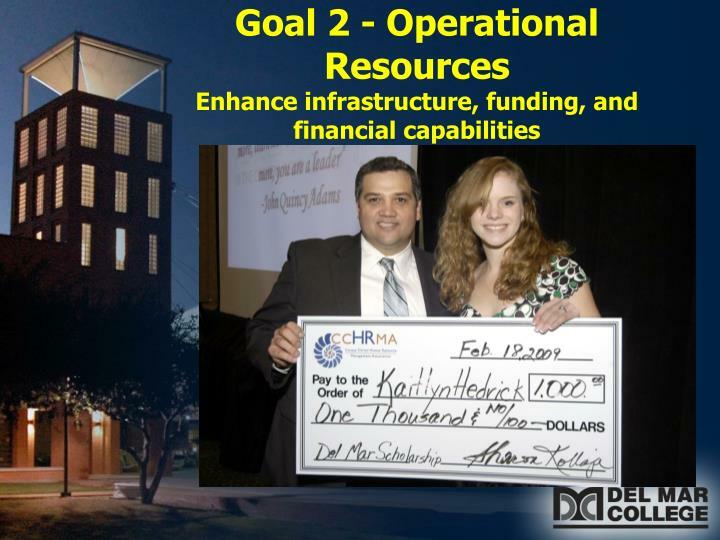 Small Business Development Center – 22 Businesses established – 142 new jobs!!! 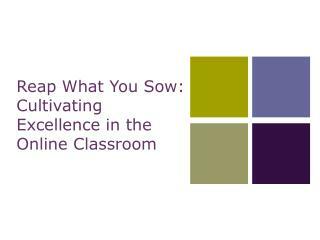 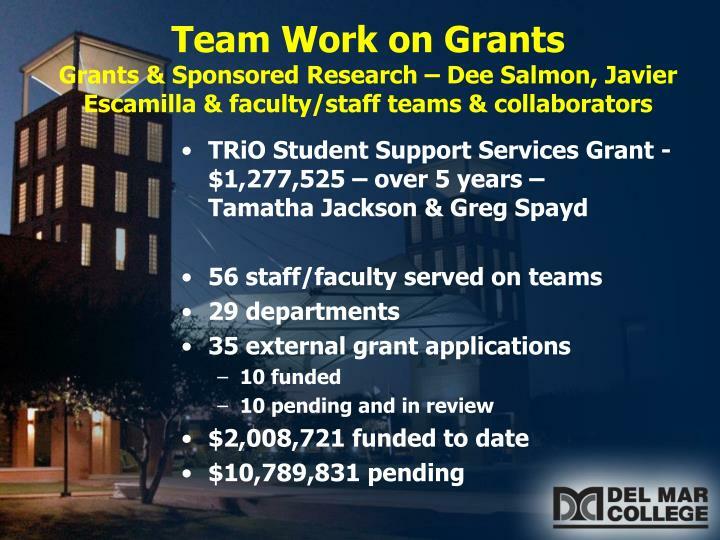 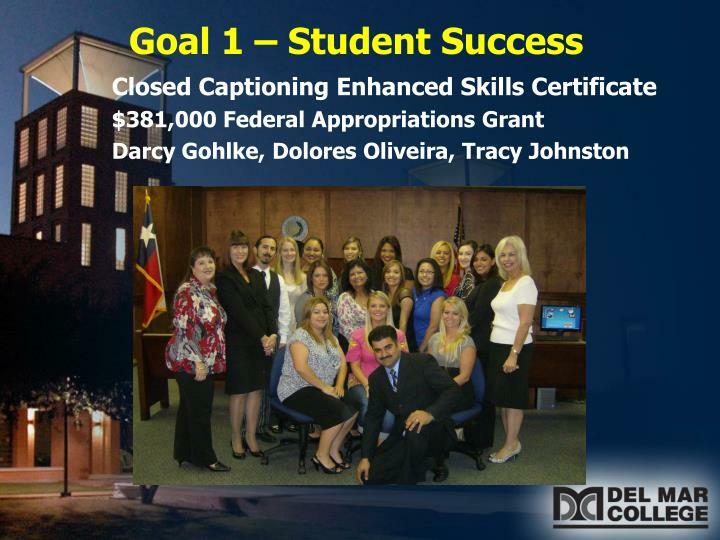 Implement TRiO Student Support Services Grant $255,505 per yr. 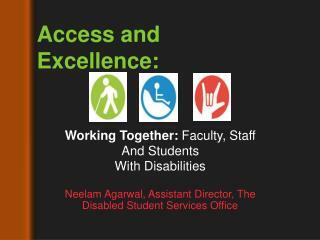 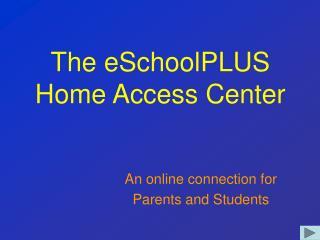 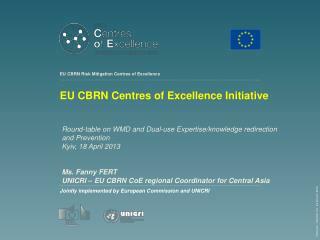 Improving Access and Success -. 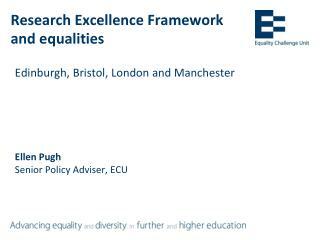 trudie mcnaughton pro vice-chancellor, equal opportunities the university of auckland forum on higher education and social inclusion melbourne 16 july 2008. equity and excellence at the university of auckland.